Physical data visualization of 36% of women in the US who have experienced physical and/or sexual violence from an intimate partner at some point in their lives. TRIGGER WARNING: This piece contains information about sexual assault and/or violence which may be triggering to survivors. According to a study made by the Organization for Economic Cooperation and Development on 2014, 36% of women in the US have experienced physical and/or sexual violence from an intimate partner at some time in their life and 13% of women in the US agree that a husband/partner is justified in beating his wife/partner under certain circumstances. Design Concept: I wanted to find a way to communicate stories in a very intimate way and at the same time to visualize the 36% of women in a very meaningful way. That’s why I decided to use the old switchboard concept. The fact that women were the ones who used to operate them in the past also helped me to build a more robust concept. One of the reasons why I decided to stick to this design is because I believe that these stories shouldn’t be told in 2018 however this is our reality and I wanted to find a way to create awareness with my piece. User Testing: I did two rounds of user testing, the first one was low fidelity which I performed with a cardboard model and reading the stories out of a piece of paper. It helped me a lot to identify pain points in the user interaction in the early stages of the development which allowed me to make changes in the concept and apply them in the fabrication. The second round of the user testing was performed with my professors and classmates using an almost finalized model, and the main goal was to test the interaction before the Winter Show and use the last week to finalize and refine some interactivity details. Circuits and Components: For the piece I decided to divide my content into two different means of communication, the data and the stories. As shown in the sketch below the way that I choose to solve the division of the sound was by using an audio jack divided in left and right. The data audio file is stereo but it is only coming out of the right channel, and the stories audio files are coming out of the left channel only, therefore the speaker is only connected to the right plug in the jack and the phone is only connected to the left one and both of them sharing a common ground. I decided to work with an Arduino Mega so that I could plug each of the jacks to an specific digital pin, therefore I didn’t have to use a Multiplexer. The other two elements connected to the Arduino are the phone switch, which consists on a pulldown switch and the jack that connects to each one of the “stories” which also consists on a pulldown switch by itself since I am not using it as a conductor of audio but instead as a connection to send the data to p5. 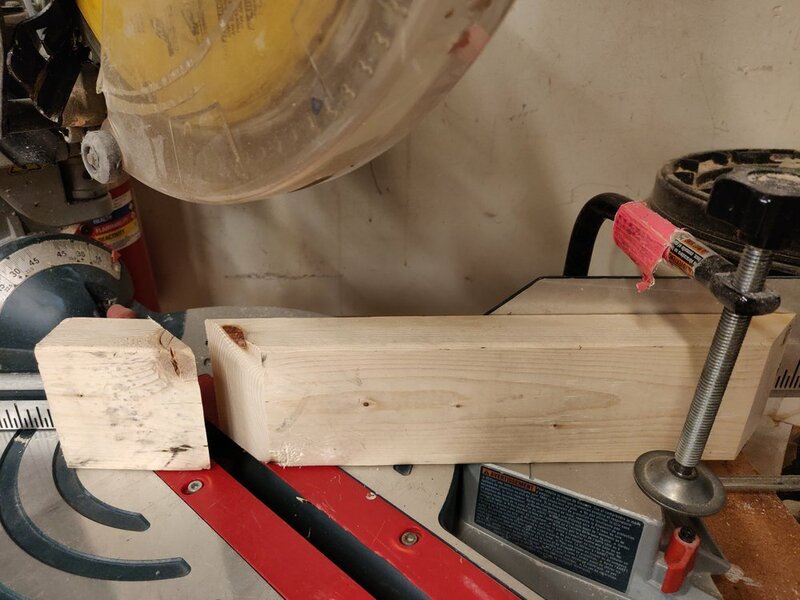 Fabrication Process: I worked with recycled pine wood in order to create sort of a frame, I jointed it with L brackets because I needed a very stable structure. 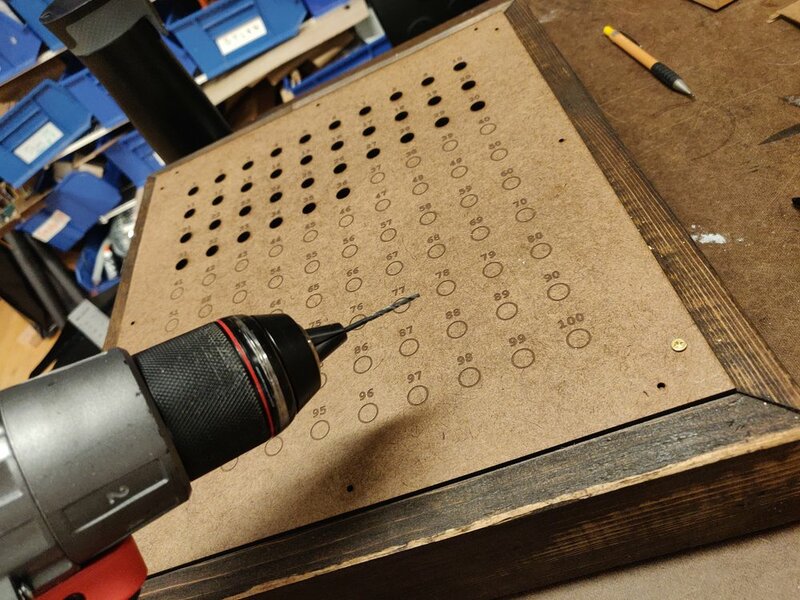 I continued by laser cutting the MDF board that goes in the front of the box, it contains 100 circles, I cut 36 of them and the remaining are only etched, each circle with its corresponding number, I also laser cut the holes for the screw so that I could place them easily on top of the pine frame. Another important component of my fabrication was the switch to hold the phone, that piece has two main functionalities: one is holding the phone in a position that is intuitive for the users to pick it up and the second is to create a physical switch that stops the audio loop that is coming out of the speakers so that the story audio will come out only from the phone. I decided to work with pilled up MDF profiles that would have the space for holding the switch inside. 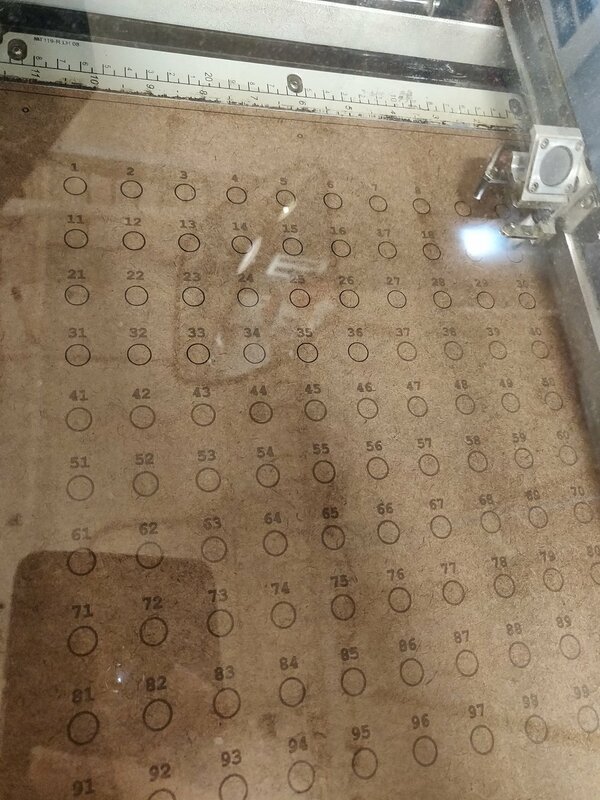 I started by sketching the component and later on laser cutting the pieces and putting them together with screws in the pine. Serial Communication: I created physical switches with the jacks inserted in the holes of my front board so that each time a user plug the cable, Arduino would receive a number which will be later on sent to p5.js. I decided to work with states in the Arduino side of the code because I had to make sure that the only moment when the audio will be played is when that condition is met (when the switch is on but it was previously off). A more detailed explanation can be found in the project blog post. Audio recording and editing: I recorded and edited the stories with its corresponding closure statement. It was a very interesting process since I wanted to transmit emotions in the way that I narrated the stories. The maximum capacity of p5.js represented a challenge because the files couldn’t be more than 5MB, therefore I decided to record without a zoom recorder (since the files where extremely heavy) and instead I used my earphones microphone, I had to do quite some editing in Adobe Audition in order to get rid of the ambient noise but in general it was a very effective solution since it allowed me to generate good quality audio in a decent file size. As a Latin American, I am used to hearing stories about violence against women every day. My intention was to design a project that will give voice to the survivors of the stories that are going to be told in order to use this piece to make a physical data visualization using storytelling as a mean to create awareness. 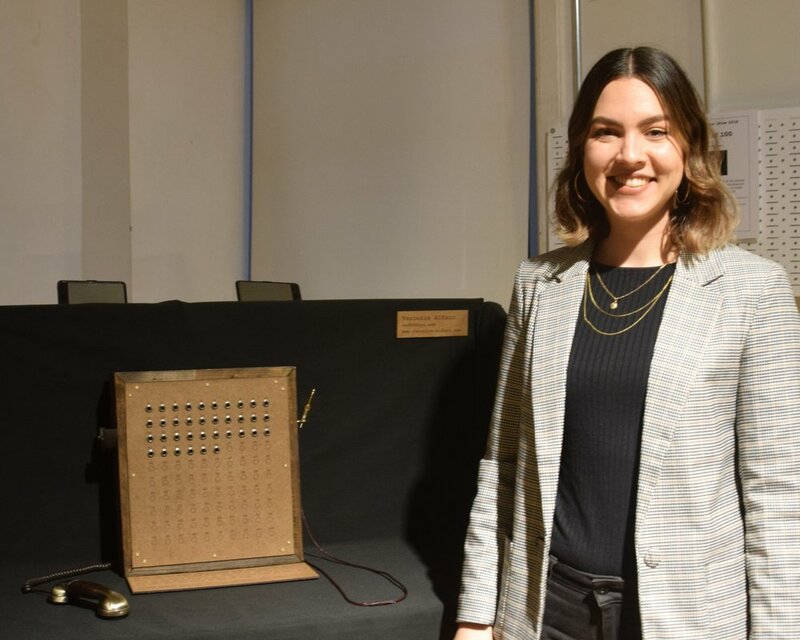 This was an an individual project and I did the ideation, fabrication, coding and recorded the stories, all of it with the help of my professors and support from classmates and the ITP residents. 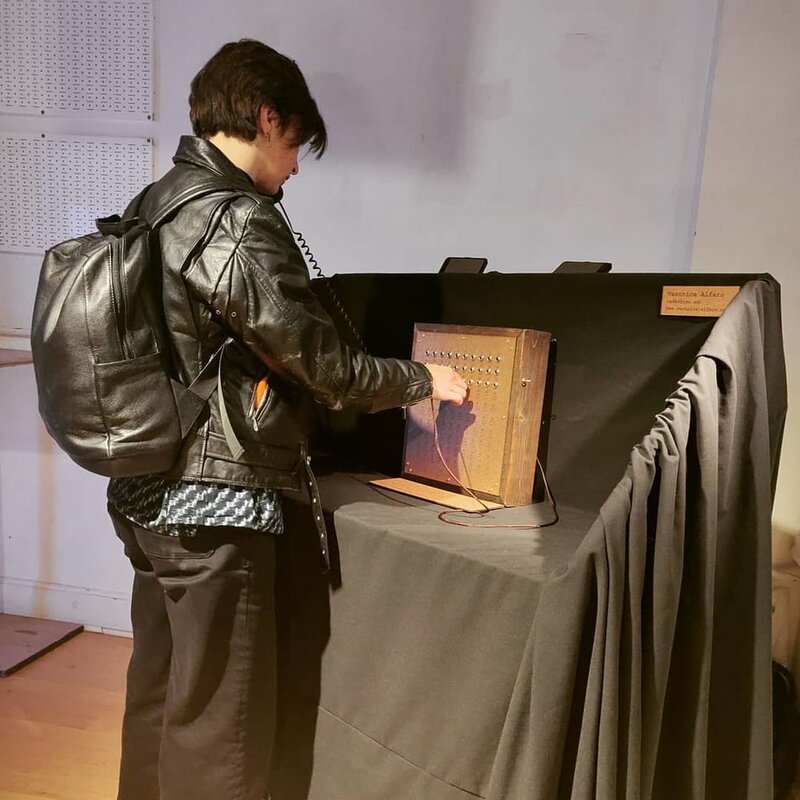 The final result is an interactive installation in which initially the audio of the instructions and the narration of the data will come out of speakers connected to the computer and when the user pick up the phone, the audio will pause so that the user can plug the phone into one jack of their choice, the audio then will come out of the telephone as a way to tell the story in a more personal and individualized way. The user will be able to change the connection to another jack at any time and when they put the telephone back to its “holder”, the instructions audio will start playing again from the speakers. User Interaction during the Show. TRIGGER WARNING This piece contains information about sexual assault and/or violence which may be triggering to survivors. Interview by Daniel Shiffman for The Coding train during the ITP/IMA Winter Show at Tisch School of the Arts at NYU. A two day exhibition of recent creative interactive projects by the students of ITP and IMA. Photo Gallery of attendees interacting with the final result of the project. Note: The data that is being represented comes from an study made by the Organization for Economic Cooperation and Development on 2014 about women in the US however the intention of the project is not to exclude women identifying, transgender, and gender-nonconforming individuals. This project was developed as part of my Physical Computing and Computational Media courses during my first semester at ITP NYU. It was presented in the ITP/IMA Winter Show 2018.